In recent set pics of the highly anticipated sequel to the 2017 horror hit It, Bill Skarsgård is back in makeup and Pennywise attire and scaring the crap out of his cast-mates once more. Although the cast is all grown up this time around, it seems age makes no difference when it comes to being scared of the clown. Skarsgård is decked out in the full costume (including hair and makeup) and is terrifying his co-star Bill Hader, according to Dailymail. The funnyman, who plays the adult version of Richie Tozier, is a great compliment to Stranger Things’ Finn Wolfhard, who was the child version of Richie. 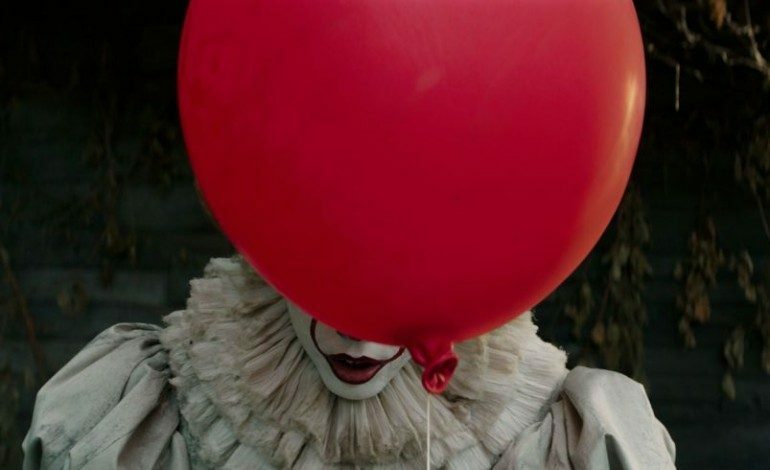 Director Andy Muschietti is back after the success of It: Chapter 1. Hoping to recreate the same magic that raked in $700 million at the box office, Muschietti is reuniting the Losers’ Club from the first film 27 years after their battle with the evil entity known as Pennywise the Dancing Clown. The kids we have come to know as Bill, Bev, Ben, Stan, Eddie, Richie, and Mike will be all grown up and, with any luck, be ready to fight once more. The new cast that is joining Hader and Skarsgård of It: Chapter 2 includes James McAvoy as Bill Denbrough, Jessica Chastain as Beverly Marsh, Jay Ryan as Ben Hanscom, Isaish Mustafa as Mike Hanlon, James Ransone as Eddie Kaspbrak, and Andy Bean as Stan Uris. Mark your calendars for It: Chapter 2 because Pennywise will be dancing into theaters September 6, 2019. Click here to view more set photos.